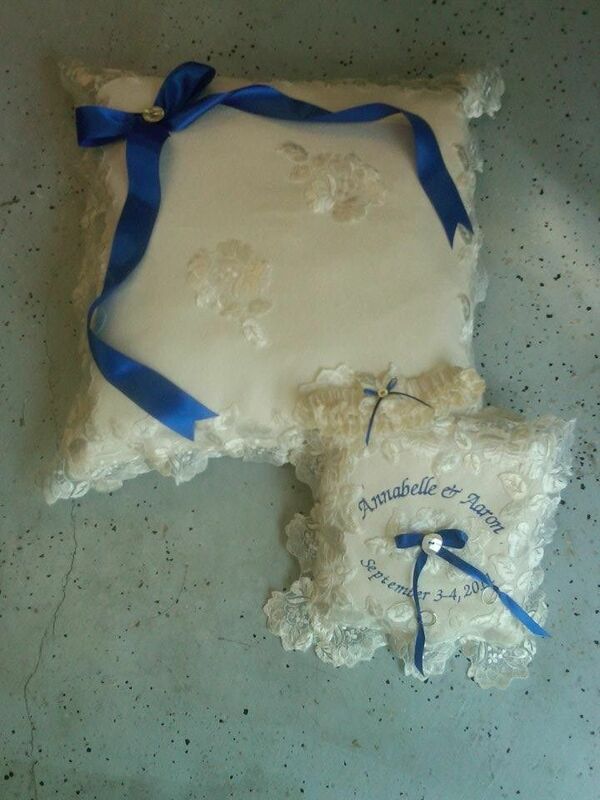 Monogrammed ring bearer pillow and matching kneeling pillows are festooned with royal blue ribbon and antique button detail. Made of silk noil for a homespun feel, these accessories have hand appliqued schiffli lace. Any color, any design can be incorporated into the accessories for your wedding!